For a typical one or two bed apartment removal, we can usually provide a quote over the phone. One and two bed apartment moves usually require just a light truck and either one or two men. The duration of a typical apartment move can take anything from one to three hours, depending on access, contents and distance to the new home. 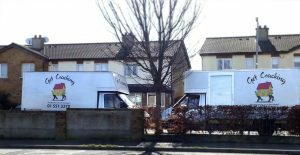 Three and four bedroom house removals begin with the initial phone call or email from the customer during which we arrange an on location visit in order to provide an accurate quote as prices can vary quite depending on location, contents and access. The visit takes under 5 minutes, it’s free of charge. Book an On Location Visit with us and within 24 hours of the visit we email the quote for your move. Furniture Removals can be awkward especially when it comes to apartment moves or tight angles. Being an experienced company, we know how to get your furniture moved, intact, every time. We also offer disposal service to our clients. It maybe just a single mattress or an entire house clearance. Whatever it may be, we provide a range of recycling services to suit your needs.